Well, there goes my motorcycle. I just sold it to a friend, Fadi, for $1,900. Fadi had asked about buying the bike from me several months ago, before NMHD and before I had the slightest intention of ever getting rid of it. He’s never ridden before, but he stopped by today with our mutual friend, James, who works at a motorcycle shop, to check it out. Because of the charging issue, I couldn’t even start it up for them without run-starting it. Once I got it started, Fadi started explaining how he didn’t want to spend any money beyond the $2k to fix it. I basically told him “tough,” I can’t let it leave my driveway without $2k in my pocket. I went on to tell him that I bought it for $4k, have invested at least $2k in maintenance in it, and have put only about 14k miles on it. Scratches and charging issues aside, it’s one hell of a bike. If I had been able to get the damn thing on Craiglist (it’s hard as heck these days to put a proper ad on Craigslist with linked images–just try it), then my phone wouldn’t have stopped ringing. James backed me up on it, and a third guy who came along, Jordan, added that Fadi could always resell it for $2k if the repair costs were exorbitant and he didn’t want to pay them. After about 15 minutes of going back and forth, Fadi asked if we could do $1,900. I tried to get him up to at least $1,950, but he literally put the $1,900 in my hand, and offered his hand for a handshake. Persistent SOB. I shook it. And that’s why I probably won’t do business with friends anymore. I’m a super nice guy to my friends, so it’s hard to take a hard line with them. Anyway, I signed over the title, Fadi and Jordan got in their respective cars, James got on the bike, and away they went. Before they left, I took James aside and asked him if I had just gotten completely taken to town. He told me that if I had been more patient, I could have gotten between $2,500 and $3k for it, but if I’m looking to sell quickly, then I did alright. I actually am looking to sell quickly, so I’ll take solace in that. Because I’m also selling the Murano, and I also just put my roadbike on the market ((that’s right, I’m cleaning house–renouncing all my possessions, or something like that), I don’t have time to be going home at 5 PM like I did today (with three more hours of work to do at some point tonight) to talk to a potential buyer about the bike, bicycle, or car. I want all this stuff gone so I can focus back on my work, which directly impacts my bonus, which is the biggest chunk of money (and most variable) out of all of these things. It’s a band-aid. Rip it off quickly. Also, we’ll soon be in the days of 50 degrees or lower, which might turn motorcycle buyers off, and quite frankly, it’s hard as heck to predict how the market is going to react to a bike that has been down on both sides and has charging issues. Maybe it’s because these guys are my friends that I was able to get as much as $1,900 for it. Who knows. I actually got some serious feelings of jealously watching somebody else ride my motorcycle. Now I’m back to the sidelines, watching other people ride their motorcycles while the best I can do is drive my car with the top down. If you ride a motorcycle then you know exactly what I’m talking about. If you don’t ride a motorcycle and I haven’t adequately described to you the sensations of riding a motorcycle and what makes it so much fun, then you probably won’t understand what I’m about to say next: I’m getting a (used) Yamaha R1 when I’ve paid off my loans and saved about $5 or $6k. I’m 100% sure I won’t be backfilling the Murano with anything since that’s just superfluous and I get that now, but the Honda CBR600RR is going to get a replacement–a much faster, a much more powerful replacement. Alright, work can wait. Heading to HH to drown my tears with some buddies and a flask. Here’s a picture I took of the bike a few minutes before it was ridden out of my life. I miss it already. Congrats on the sale, nice that your actual sold price was deemed acceptable by James. As for the R1, have fun. I’be ridden one and they’re great. You sold the helmet too? At l east you have a lot of wonderful memories of you and your bike! You can always buy another one later if you still want to. Just remember all the great rides you had on it!! Just update your net worth-maybe seeing the numbers might soften the blow? hah! yeah, that’s exactly what I did last night, but the $1900 basically just catches me up and puts me only slightly ahead. the Murano will be the real win. I found your blog a few nights ago and read the whole thing from the start until now. I read up until the last post in one sitting, staying up /way/ past my bedtime. The question in my mind was, “When is he going to realize he’ll have to sell one of his cars and/or bike to make this work?” I cheered when I saw your post detailing your plans to sell the Murano and the bike. I’m just some guy on the internet, but I think it’s great what you are doing, and I think you did the right thing downsizing your fleet to pay the loans off faster! 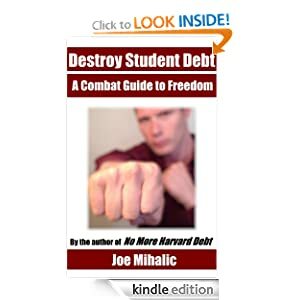 I left college with a significantly smaller chunk of debt, and if all goes according to plan, should be debt-free in March 2012. Thanks for the blog, it’s a great inspiration! PS I found your blog via a comment on http://www.mrmoneymustache.com, which is another excellent blog I read for inspiration. Hi, I’m just another random guy on the internet too, who wandered onto this blog from Mr Money Mustache. I’m slowly working my way through your writing as I know you’ve already achieved your goal. I just wanted to pass comment on the selling of your car (eventually) and the motorbike. Back in July last year I sold my car and have been car-less ever since. I did it to cut down on expenses as I change to a second career. That second career began in January and I took a huge pay cut to do it. But it was the right choice. I now look forward to work. And ride my bicycle home, still with a smile on my face. I still have my motorcycle though. Its my first ‘big’ bike, so I’m just having too much fun with it (including a road trip to Berlin last year). I don’t think I want to get rid of it ever, but if a goal is ever big enough (or petrol continues to rise in cost) then it may have to go. Keep looking forward to that day you can buy the R1, knowing you have money in the bank… AND NO DEBTS. Ain’t it awesome having no debt!? !